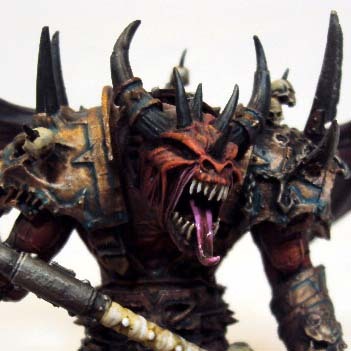 This week we have a "re-post" of a personal Demon project from Ken. 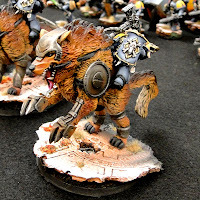 This army includes massive amounts of Screamers and Flamers due to the White Dwarf update.The army, much like the Flying Circus one featured earlier is designed to maximize the Demons potential in 6th edition. This army was recently played at Feast of Blades. The Army Performed very well in winning both the 4th Bracket "Ace" and "Best Appearance" awards in the invitational. Now The army is for sale! Visit the auction on ebay. The auction covers all the details, and includes foam and display tray. Welcome to Armies on Parade, where I display (in hopefully good detail) some great looking armies from major tournaments all across the United States. 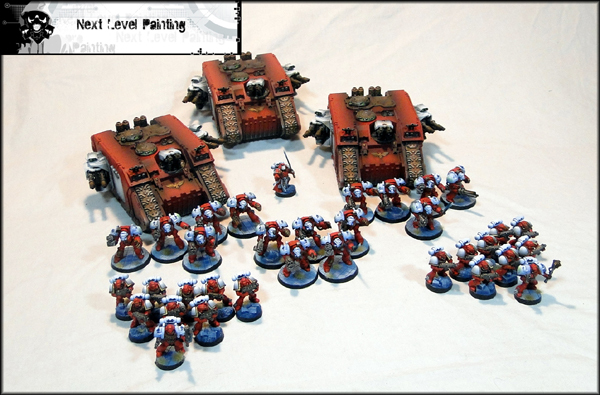 MBG here with another Armies on Parade, where I display (in hopefully good detail) some great looking armies from major tournaments all across the United States. 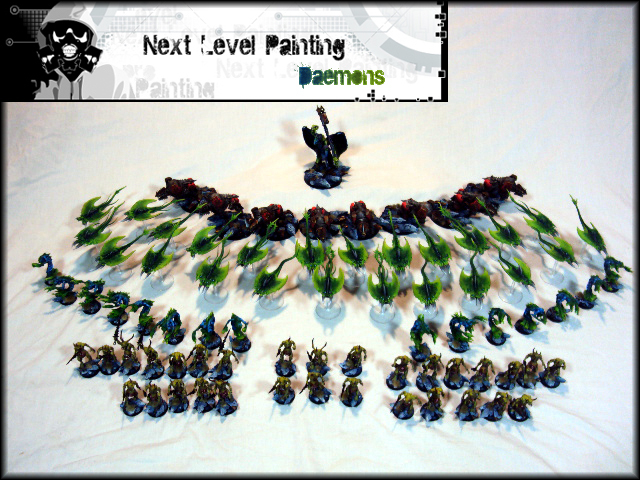 Check out this sweet raffle army by Next Level Painting for this weekend's Feast of Blades Invitational Tournament! Feast of Blades is coming up fast! Feast of Blades is a GT in Denver that has an Open and an Invitational. Check out details here. Next Level will be in attendance with our own booth. Not only will we be show casing some armies(click below) but we are also doing the raffle army which will be a Pre-Heresey Thousand Sons army! Hope to see you there. This week we have another personal Demon project from Ken. This army includes massive amounts of Screamers and Flamers due to the White Dwarf update.The army, much like the Flying Circus one featured earlier is designed to maximize the Demons potential in 6th edition. This army was finished just in time for BeakyCon and Feast of Blades. The Army Performed very well in winning both the 4th Bracket "Ace" and "Best Appearance" Awards. Now The army is for sale! Visit the auction on ebay.